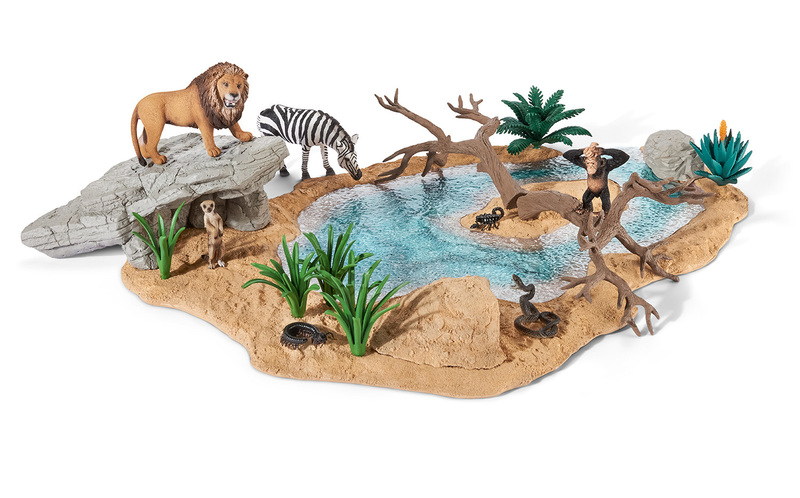 As part of the 'Educational Play The Schleich Way' campaign. Schleich has created a brochure which was designed to be a guide to help with imaginative play and development. Covering topics such as balanced play diet, encouraging imagination and early language skills, the guide also comes with helpful hints and tips on how you can incorporate Schleich products. The brochure is full of lots of fantastic information. I love all the brilliant advice from renowned child psychologist, Dr Amanda Gummer. Children need to spend their time enjoying many different areas of play including social play, active play, creative play and free play. The brochure talks about these different areas of play in detail and tells you how beneficial they are to a child's development. It also has some fun game suggestions, some your child can play alone and others which are great for group play and teamwork. The brochure makes for a great read for all parents and all of the information and games can come in useful with or without the use of Schleich toys. It is also completely free so definitely worth a look. You can download the brochure here. Schleich figures are available to buy at Smyths Toy Stores amongst other large toy retailers.